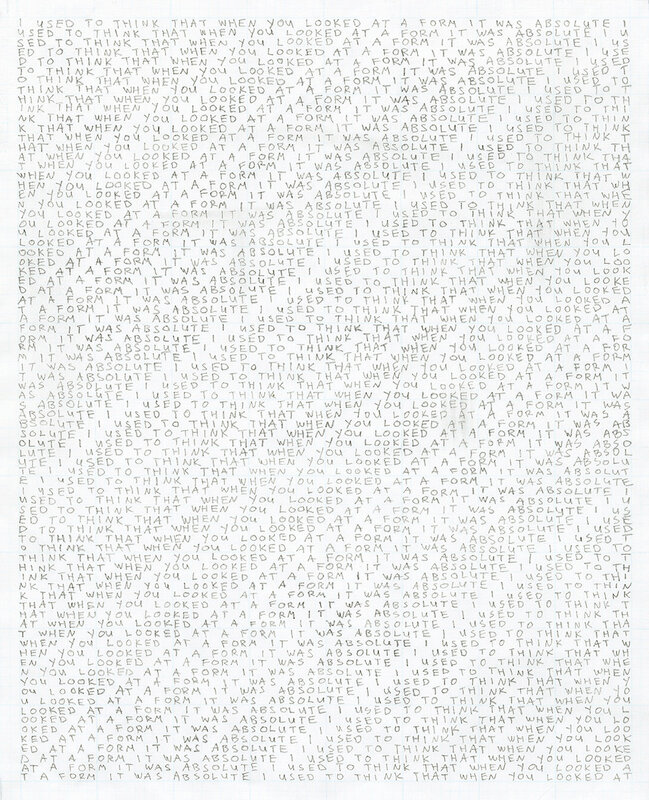 Form/Letterform is a suite of ten text drawings based on a sentence I somewhere overhead and which clung to me. "I used to think that when you looked at a form, it was absolute." I switched the pronouns you and I and it around to form a total of ten permutations. 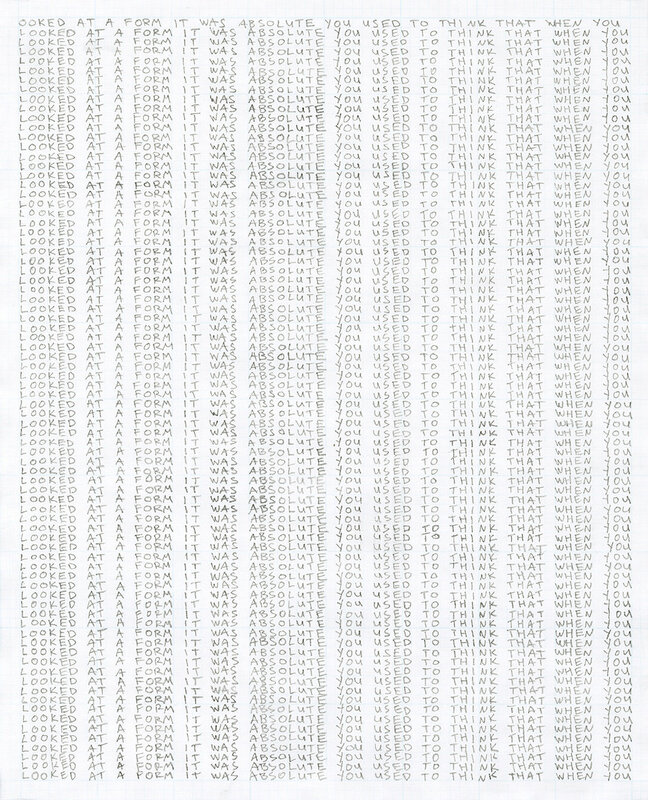 Each piece of paper received one permutation sentence repeated over and over filling the entire page. Similarly, each grid square received one letter, which by chance resulted in the formation of distinction patterns. In order to further abstract the shifting meanings of the permutations, I wrote in block letters and omitted punctuation. A spoken-word version of Form/Letterform was performed in New York in 2013.